"Sampath Speaking" - the thoughts of an Insurer from Thiruvallikkeni: fastest legs on earth ~ at Rio : Usain Bolt and Elaine Thompson - both from Jamaica ! fastest legs on earth ~ at Rio : Usain Bolt and Elaine Thompson - both from Jamaica ! As the globe waited, it is predictably Usain Bolt again crowned the fastest man on globe finishing at 9.81 seconds in 100M dash at Rio. Justin Gatlin of US finished next with 9.89S; Andre De Grasse, Canada, 9.91; Yohan Blake, Jamaica, 9.93; Akani Simbine, South Africa, 9.94; Ben Youssef Meite, Cote d’Ivoire, 9.96 – all finishing under 10 seconds and then Jimmy Vicaut of France, 10.04; followed by Trayvon Bromell of US at 10.06 seconds. This photo by Getty photographer Cameron Spencer has picked up as much attention as an image of Bolt breezing past his competition in the 100-m semifinal earlier on Sunday. Snapped, the photo shows a grinning Bolt looking back at those left in his wake as he sails over the finish line. In the women section, Elaine Thompson of Jamaica won gold in 100M sprint with 10.71 seconds finish (under 10 has never been run by any women anywhere ! ); Tori Bowie of US 10.83 and much expected Shelly-Ann Fraser-Pryce of Jamaica coming third at 10.86 seconds. By now, you would have noticed the dominance of Jamaica in sprint. This month, i.e., 6th Aug is the day of Independence for this island nation. They can say with pride once again that the fastest Man and woman on earth hail from their country. It is a place which has produced Steve Bucknor, the Umpire, Cricketers - Chris Gayle, Courtney Walsh, George Headley, Michael Holding amongst other famous people from the island. Jamaica is an island country situated in the Caribbean Sea, consisting of the third-largest island of the Greater Antilles. The island, 10,990 square kilometres (4,240 sq mi) in area, lies about 145 kilometres (90 mi) south of Cuba. Inhabited by the indigenous Arawak and Taíno peoples, the island came under Spanish rule following the arrival of Christopher Columbus in 1494. Many of the indigenous people died of disease, and the Spanish imported African slaves as labourers. Named Santiago, it remained a possession of Spain until 1655, when England (later Great Britain) conquered the island and renamed it Jamaica. Under British colonial rule, Jamaica became a leading sugar exporter, with its plantation economy highly dependent on slaves imported from Africa. Jamaica is a Commonwealth realm, with Queen Elizabeth II as its monarch and head of state. The island Nation Jamaica slowly gained increasing independence from the United Kingdom and in 1958, it became a province in the Federation of the West Indies, a federation among the British West Indies. Jamaica attained full independence by leaving the federation in 1962 – that was on 6th August 1962. 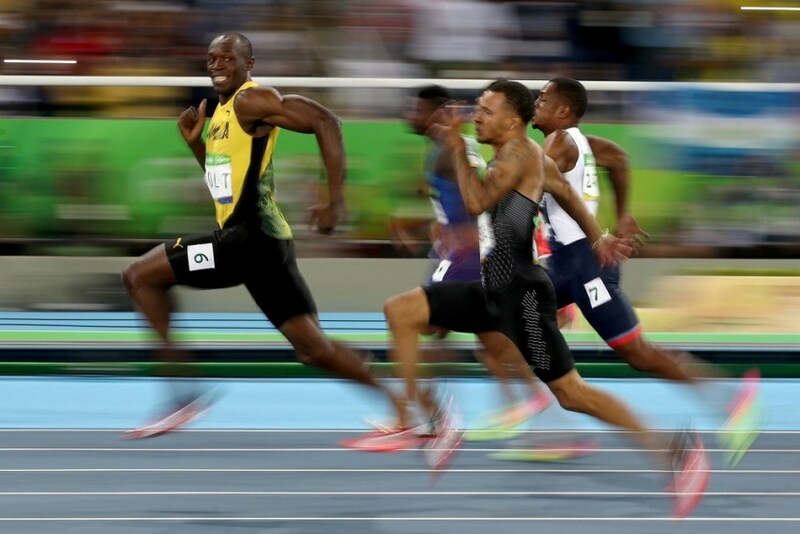 Usain Bolt won 100-meter gold for the third straight Olympics, edging out Justin Gatlin with a time of 9.81 seconds~ the meme is he had time enough to turn around, look where others are, say cheese to photographers even before crossing the finish line. As expected, the entire nation of Jamaica was watching their biggest star chase history. Celebrations began after his semifinal race and only got larger after he earned the gold medal. The vaunted Jamaican sprinting program added a new chapter on Saturday night, as a new queen was crowned the fastest woman in the world. 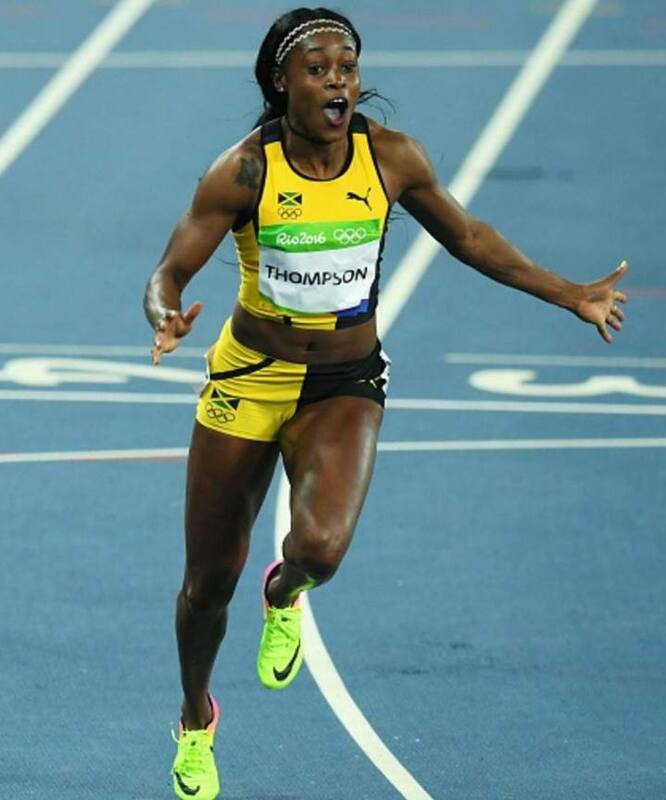 Elaine Thompson, a relatively unknown 24 year old from a small village in the island nation, blew away the field in the 100 meter final, blistering to the finish in 10.71 seconds, just one one-one hundredth of a second off the national record she tied a month ago. In taking the gold, Thompson unseated her training partner and compatriot Shelly-Ann Fraser-Pryce from the title of fastest woman. Fraser-Pryce has suffered a toe injury for much of the past year and settled for bronze. Tori Bowie became the 15th American woman to medal in the 100 meters, winning silver. No U.S. sprinter has claimed gold in 16 years. Thompson won by a full 0.12 second over Bowie, a convincing victory in a race considered by many to be wide open. The final was filled with several first-time Olympians, including Thompson and Bowie. Dutch star Dafne Schippers, second behind Fraser-Pryce at the 2015 World Championships, finished fifth in 10.90. Thompson said: "When I crossed the line and glanced across to see I was clear, I didn't know how to celebrate." Fraser-Pryce said: "What I'm most happy about is the 100m title is staying in Jamaica. I'm on the podium with my training partner. I'm proud of Jamaica."